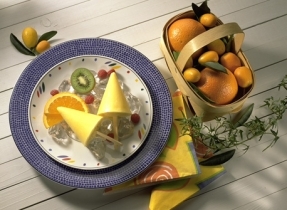 Here’s a fun way to serve dessert come summer. 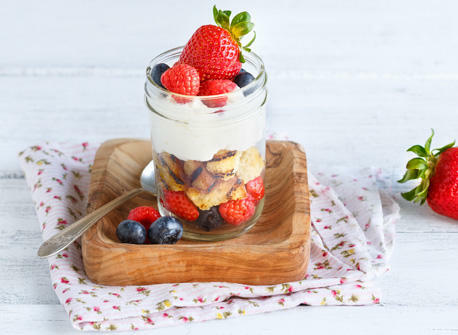 Take advantage of mason jars you may have lying around – they’re the perfect size for this easy summer dessert. Dessert bowls work very nicely as well; you may need to grill a slice or two more pound cake. Oil grill and preheat the barbecue to medium. Fruit: In a bowl, stir together fruit, sugar and lemon juice. Filling: Place Mascarpone in a large bowl; stir in 3 tbsp (45 mL) whipping cream. In a medium bowl, beat remaining cream while gradually adding sugar until stiff peaks form. Fold into Mascarpone. Cake: Melt butter with nutmeg. 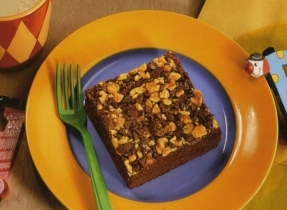 Brush over both sides of cake slices. Grill for 1 min per side or until grill marks appear. Cut into 3/4-inch (2 cm) cubes. Divide half the fruit between 8 (1 cup/250 mL) mason jars followed by the pound cake; gently press down. Spoon in Mascarpone mixture, spreading evenly. Top with the remaining fruit and any fruit juices. Leftover pound cake can be refrozen, even if you’ve purchased a frozen cake. A grill pan works well for grilling pound cake. After pound cake is grilled and cubed, sprinkle with orange or raspberry liqueur. Grill slices of angel food cake instead of pound cake.